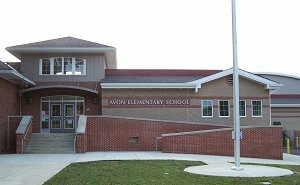 The Barrington School District Board of Education will tackle a number of topics at 7:30 p.m. tonight at Avon School as the school year approaches in less than a month. Superintendent Anthony Arcodia recommended approval of the 2013-2014 curricula for Math (K-8), Language Arts (K-8), PE/Health (K-8), Visual Performing Arts (K-8), World Language (K-8), Science (K-8), Social Studies (K-8), Computers (K-8) and Family/Consumer Sciences (5-8). The Family/Consumer Sciences curriculum, in particular, has been an issue with some parents. STRENGTHENED ABSENTEE AND DISCIPLINE POLICIES? A first reading of bylaws, policies and regulations related to pupil discipline/code of conduct and attendance will be entered into the record. At an earlier board meeting, Arcodia went over some of the proposed rule changes including requiring summer school for students who miss too much school. Superintendent Arcodia recommended approval of Bricks 4 Kidz as an after-school activity/club for the 2013-2014 school year. Superintendent Arcodia recommended approval of Amanda Parisi as guidance counselor, Julie Andrew-Lamon as a computers teacher, Colleen Kelemen as a music teacher, Andrea Duncan as a first-grade teacher, Kelly Rosato as a basic skills teacher, Kelly Petitt as a science/SS teacher and Kimberly Moonen as a third-grade teacher, among other personnel moves. The board is slated to OK a student-activity fee for the 2013-2014 school year of $85 for the first activity and $35 for the second activity with a maximum of $120 per student and hear information about the construction efforts over the summer, including renewal of Woodland School’s gym and building of the new greenhouse. 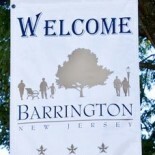 This entry was posted on August 14, 2013 by Barrington Bulletin in Schools, Uncategorized and tagged after-school, attendance, curriculum, discipline.